She joined directors from Deutsche Welle, France 24, and the US Broadcasting Board of Directors which oversees the Voice of America, in condemning the flagrant violation of the clearly established international procedures on operating satellite equipment. During the past week BBC television and radio broadcasts on the Arabsat satellites have been affected by intentional uplink interference. Many international television broadcasts, including those from France 24 and Deutsche Welle, have been badly affected. The satellite operator Arabsat has reported that the interference has come from within Ethiopia. The interference is intensive and affects services on all three Arabsat satellites. Unlike previous instances of intentional interference, these events do not appear to be linked to any particular content or channel on these satellites. The interference is contrary to the international regulations that govern the use of radio frequency transmissions and the operation of satellite systems, and inhibits the ability of individuals to freely access media according to Article 19 of the UN Declaration of Human Rights. Al-Sisi stresses that practicing freedoms should be balanced with national security, citing concern that the former might lead to chaos. A combo made of file images of Egyptian presidential hopeful Hamdeen Sabbahi (L) speaking with an AFP journalist on February 22, 2014 in Cairo and Egypt’s ex-army chief and leading presidential candidate Abdel Fattah al-Sisi giving his first television interview since announcing his candidacy in the Egyptian capital on May 4, 2014. Al-Sisi said issuing the Protest Law was a necessity and a demand. He added that “irresponsible protests could lead to the collapse of the nation”. Sabahy has long criticised the Protest Law and vowed to amend its “flaws” in a manner that would “regulate, rather than ban, protests” should he become president. He also vowed to pardon all “prisoners of conscience”. Al-Sisi said he is open to issuing an anti-terrorism legislation, adding he will do “whatever it takes to restore security”. He also admitted that the anti-terrorism military operations in Sinai sometimes kill civilians, adding that their families receive compensation. He believes that Egypt is also facing terrorist threats from other regional neighbours, such as Libya and Syria. He calls on the international community to support the region in its fight against terrorism, especially the United States. Sabahy has repeatedly pledged to fight terrorism. He believes that the best way to fight terrorism would be through the enforcement of social justice, since the former is triggered by poverty and social problems. Sabahy vows to preserve “media freedom” and promises that under his reign, the media will be independent from the state and would exercise its role in raising awareness. On the future of the now shaky Egypt-United States relations, Al-Sisi vowed to deal with all countries “for the sake of our nation”. He dismissed suggestions that the US is supporting the Muslim Brotherhood in Egypt. Regarding the US military aid to Egypt and its suspension last October, Al-Sisi said that its effect would be “long-term”. Al-Sisi said his foreign policy would be based on widening Egypt’s options, insisting that restoring ties with Russia does not mean he will be replacing one ally (the US) with another (Russia). Al-Sisi said that the peace treaty with Israel is and shall remain “stable”, adding that parties in the region should build upon that reality to create a Palestinian state. Sabahy believes Egypt does not need US military aid, which could affect Egypt’s choices. While he will accept military aid based on mutual benefits, Sabahy said he would turn down military assistance “used as leverage against Egypt”. Sabahy reiterated his respect for the peace treaty with Israel, yet added that, should he become president, he would work on amending it in a manner that would allow Egypt to move with more freedom within the Sinai Peninsula. Al-Sisi said that voting for him would allow for an “eradication” of the Muslim Brotherhood. He added that ending the Muslim Brotherhood’s era was a choice of the people and not one he made. Under his rule, Sabahy said the Muslim Brotherhood would neither exist as an organisation nor as a political party because it is unconstitutional for parties with religious reference to exist. Yet, Sabahy promises that the Brotherhood’s peaceful members would be treated as citizens according to the rule of law. Al-Sisi denied he was the armed forces’ representative or that the military has ruled Egypt at any point in time during the past 60 years. He said the armed forces’ main responsibility is to fight terrorism, yet stressed the institution would be ready to pitch in should its economic assistance be needed. Al-Sisi has long stressed that he “loves the Egyptian woman” and sees her as an integral part of Egypt’s development. In his electoral platform, Sabahy promised he would provide 500,000 women in “dire financial need” with social security. He said he would make sure female representation within parliament would be no less than 30% and that he would appoint women among his presidential team. Al-Sisi’s electoral vision vaguely addresses the judiciary. He calls for holding a “justice conference” to achieve judicial development. The vision fails to address exceptional trials, such as military trials. Sabahy’s platform addresses judicial independence, saying it can only be achieved if the judicial authority is independent of the executive and legislative authorities. The platform also details the mechanisms of appointing the prosecutor general, saying he should be elected by the Supreme Judicial Council. The platform also highlights the necessity of cancelling exceptional courts such as the State Security Court; it adds that military tribunals should only try military personnel. Al-Sisi said there are two points to the issue, the period it will take to fill the reservoir and the collateral damage of building the dam. He added that understanding between nations is not achieved through threatening and said that if need be, he will visit Ethiopia several times, not just once. If elected president Sabahy intends to make his first trip to Sudan and Ethiopia and that he will call for a summit of the “Nile Family,” a reference to the Nile Basin countries. During the summit, an Egyptian suggestion will be proposed to form a new regional organisation with a mission of holding joint dialogue on guaranteeing rights of all Nile Basin countries. He added that this means that Egypt will not lose a drop of water and Ethiopia will not be deprived of a single volt of electricity that it needs. The police have been in an extremely difficult situation for the past four years and this requires understanding and support, Al-Sisi said. Sabahy said “reforming the interior ministry means making it more competent and standing by it and it does not mean being tolerant to it. He said that this will be achieved through: making “serving the people and respecting them” the ministry’s doctrine; restructuring the ministry; respecting human beings and general freedoms and including this in education curricula and comprehensively reforming state institutions. “When citizens are assaulted, this signifies the state’s weakness and inability,” he said. “I really do respect others’ religions and I want people to respect others’ religions,” Al-Sisi said, adding that he wishes for people to treat each other without religious bias. He also pledged steps towards preventing any sectarian crisis. “I have never discriminated against someone based on their religion,” he said. “We, Muslim and Christians, are the children of one culture, which we have built together for 14 centuries on this land,” Sabahy said. His platform includes forming Commissioner for Combating Discrimination, as stipulated in Article 53 of the 2014 Constitution. He said however, that the commissioner is on the top of his agenda, not because it is in the constitution but because he is calling for it. Egyptian citizen Hamdy Al-Anany was deported from Ethiopian capital Addis Ababa, an incident which prompted the Egyptian Foreign Ministry to express “deep regrets”, in a statement on Sunday, and demand an explanation. It added that Al-Anany is accredited by both the Ethiopian Authorities and the African Union Commission. MENA demanded an explanation to this “strange behaviour” and that Ethiopian authorities correct their position and guarantee correspondents’ freedom to exercise their duties. MENA also demanded that the African Union, the Federation of African Journalists and the Egyptian Press Syndicate “bear their responsibilities” towards guaranteeing the protection of the work of journalists and correspondents and securing their lives and property. Ethiopian-Egyptian ties have been strained since Ethiopia began construction of the Grand Ethiopian Renaissance Dam in April 2011. In May 2013, Ethiopia began diverting waters from one of the Nile’s main tributaries, the Blue Nile. Egypt fears that the dam will affect its lion’s share of Nile Water, which is guaranteed to Egypt by agreements, signed in the absence of Ethiopia. 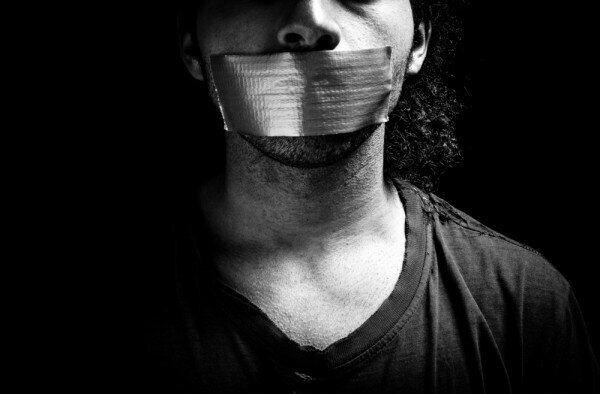 International blogging, translation and advocacy group Global Voices has hosted an African Tweetathon, calling for the release of nine journalists and bloggers currently detained in Ethiopia. Nine Ethiopian men and women part of the “Zone 9” blogging group – which promotes critical engagement and discourse around Ethiopia’s political, social and business environments – were arrested in late April and have been detained reportedly without access to legal personnel or their families. Yesterday’s Tweetathon event was hosted by Nigerian bloggers Blossom Nnodim and Nwachukwu Egbunike, alongside Global Voices editor Tanzania’s Ndesanjo Macha, and called for social media users across Africa to make a stand using the hashtag #FreeZone9Bloggers. The group focused its social media campaign towards community leaders, government and diplomatic actors, as well as mainstream media with the aim of increasing awareness of the case. 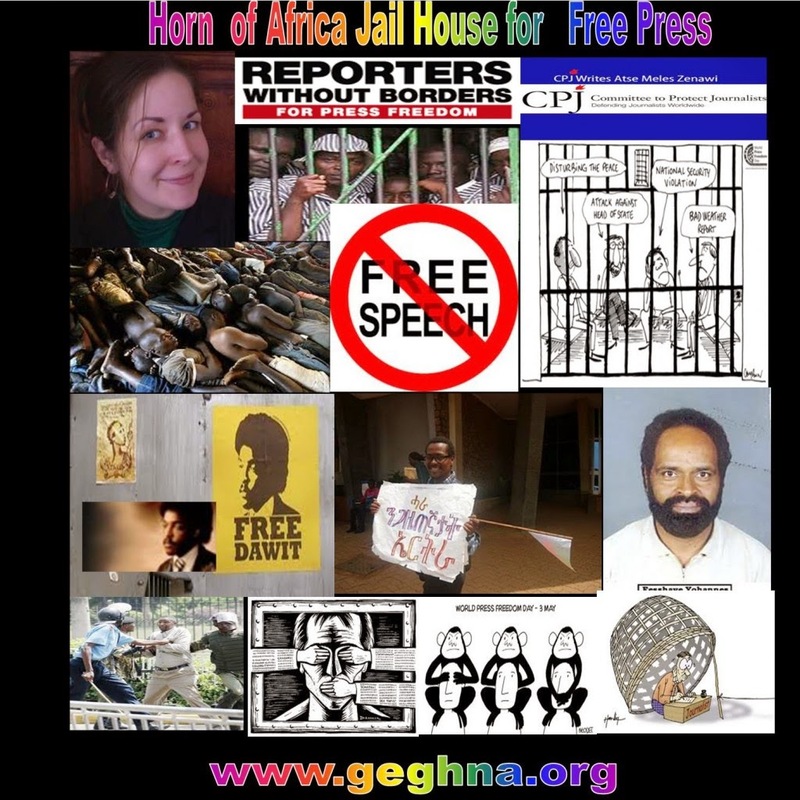 “The Global Voices community and our network of friends and allies are demanding the release of these nine men and women, all of whom have worked hard to expand spaces for social and political commentary in Ethiopia through blogging and traditional journalism,” said Global Voices. BANGUI, Central African Republic -- A 26-year-old French photojournalist who had spent months documenting deadly conflict in Central African Republic has been killed, the French presidency said Tuesday. Camille Lepage, a freelance photographer whose work was published in major French and American newspapers, died in western Central African Republic not far from the border with Cameroon, authorities said. "All means necessary will be used to shed light on to the circumstances of this murder and to find her killers," the French presidency said in the statement. Picture taken in Bangui on February, 19, 2014 of French journalist Camille Lepage. Her body was found by French peacekeepers inside a vehicle driven by Christian militia fighters, the statement said. In her last tweet a week ago, Lepage said she was embedding with Christian anti-Balaka fighters who were battling the remnants of a Muslim rebellion known as the Seleka. "We left at 3:30 a.m. to avoid the Misca (African peacekeeping) checkpoints and it took us 8 hours by motorbike as there is no proper roads to reach the village," she wrote in a photo caption that she tweeted. "In the region of Amada Gaza, 150 people were killed by the Seleka between March and now. Another attack took place on Sunday killing 6 people, the anti Balaka Colonel Rock decides to send his elements there to patrol around and take people who fled to the bush back to their homes." A native of Angers, France, Lepage also had worked extensively in Juba, South Sudan before moving to Central African Republic. In an interview with the photography blog PetaPixel, she said she was drawn to covering forgotten conflicts. "I want the viewers to feel what the people are going through. I'd like them to empathize with them as human beings, rather than seeing them as another bunch of Africans suffering from war somewhere in this dark continent," she said. "I wish they think: 'Why on Earth are those people in living hell; why don't we know about it and why is no one doing anything?' I would like the viewers to be ashamed of their government for knowing about it without doing anything to make it end." Jerome Delay, chief Africa photographer for The Associated Press, first met Lepage while the two were working in South Sudan and again in Central African Republic. On Tuesday he described her as a "very talented, extremely courageous young woman." "She was the one who would spend the time on the job to make others understand what was going on in places like Central African Republic and South Sudan," he said. Lepage had recently traveled to New York for a prestigious portfolio review and a workshop at The New York Times. On her website, Lepage said she was mainly interested in populations "in the margin and most of the time left apart by their government."